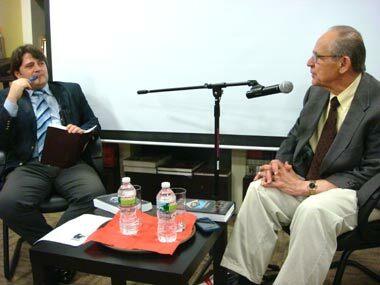 The IDC hosted Dr. Walter Wagner on May 21st 2011 at the Ant Bookstore in Clifton. He talked about his book "Opening the Qur'an: Introducing Islam's Holy Book". Guests who attended had many questions that Dr. Wagner happily answered. Tea and Refeshments were served, it was a wonderful evening. We thank Dr. Wagner for his presence. 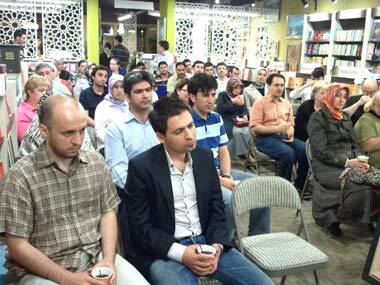 The conversation was moderated by author and journalist Aydogan Vatandas. 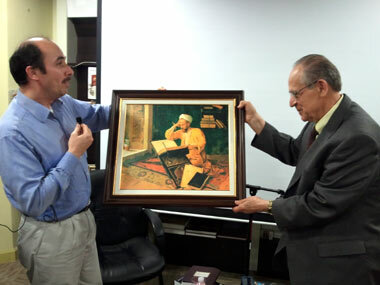 Ant Book Store's and Tughra Publishing's president Dr. Huseyin Senturk presented Dr. Wagner a painting. Dr. Walter H. Wagner is adjunct faculty at Moravian Theological Seminary (Bethlehem, PA) and the Lutheran Theological Seminary, Philadelphia. He is an ordained Lutheran pastor (ELCA), retired from parish ministry. He has taught at California, Lutheran College, Upsala College and Muhlenberg College, and served as the director for theological education of the Lutheran Church in America. 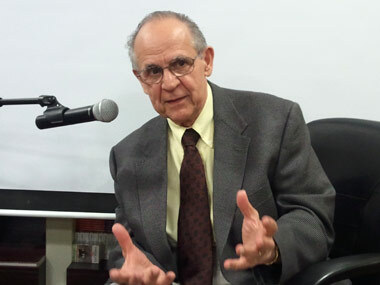 He is the author of a number of articles on early church history and Islam as well as Opening the Qur'an. Introducing Islam's Holy Book (Notre Dame Press); After the Apostles. Christianity in the Second Century (Fortress Press); and The Zinzendorf-Muhlenberg Encounter: A Controversy Seeking Understanding (Moravian Historical Society). He holds the B.A. (Gettysburg College), M.Div. (Lutheran Theological Seminary), M.A. (Princeton Theological Seminary) and Ph.D. (Drew University). He has been involved in ecumenical and inter-religious activities and programs for many years.